Closely related host species are known to show variation in the level of resistance towards the same or similar parasite species, but this phenomenon is understudied. 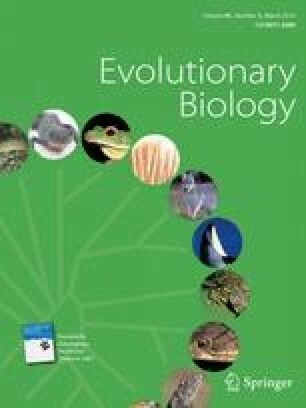 Such studies are important for understanding the ecological factors that might promote susceptibility or resistance to parasites: in particular, whether one host species is a larger target of selection for the parasite by virtue of being more abundant locally or more regionally widespread than another host species. In this study, we examined the expression of resistance by two closely related species of damselflies (Nehalennia irene and Nehalennia gracilis) against an Arrenurus water mite species. We show that the host species at each of two isolated sphagnum bogs have statistically indistinguishable levels of prevalence and intensity of infection by mite larvae. Despite having similar measures of parasitism, the regionally less represented species (N. gracilis) showed total resistance, whereas the regionally well-represented species (N. irene) was completely susceptible. Moreover, the form of resistance expressed by N. gracilis was unique, in that the oral glands of the mite were melanised. Also, this mite species was not found outside of isolated bog habitats. These results suggest that there might have been strong historical selection from this mite on the bog specialist, N. gracilis, and that this selection may have resulted in resistance evolving to fixation in a series of isolated populations. We thank K. McCoy, T. Wheeler and L. Nagel and two anonymous reviewers for comments on an earlier version of the manuscript. This research was funded by a Natural Sciences and Engineering Research Council of Canada Discovery Grant awarded to M.R. Forbes. J.J. Mlynarek was supported by an NSERC CGS. Abbott, J.C. (2007). Odonata Central: An Online Resource for the Distribution and Identification of Odonata. Texas Natural Science Center, The University of Texas at Austin. http://www.odonatacentral.org. Accessed 01 April 2010. Maddison, W.P., & Maddison, D.R. (2010). Mesquite: A modular system for evolutionary analysis v2.74. http://mesquiteproject.org. Rohlf, F.J. (2009). tpsDig. Version 2.14. Department of Ecology and Evolution, State University of New York. Available at <http://life.bio.sunysb.edu.morph/>.